Truth be told we didn't know much about Norway before we arrived. We recognised it's huge expanse, it's light summers and dark winters and high cost but very little about the people, it's outdoor culture and unbelievable quality of life it offers it's residents. 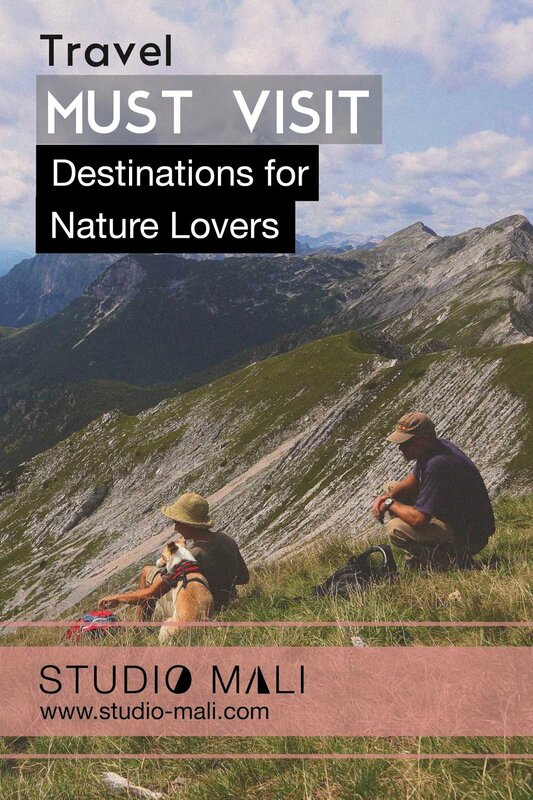 This is a place that will appeal to outdoorsy types who want a holiday intertwined with nature. The Norwegians have an excellent relationship with their environment and they are more than happy to share and advise tourists on how to enjoy it. We found the people to be funny too, with most perfect English we've heard in Europe. On the other hand travelling around Norway can be tough as many of the bus timetables seem indecipherable, for example a bus we were waiting for had an arrival time on the board of 3.15pm but when you ask another bus driver he gave a totally different, and yet correct, timing. If you're in Norway and need help, just ask, everyone is so friendly. We camped in a lovely campsite a short walk from Otta train station on the first night, the lady that run it gave us free gas upon arrival, what a lady! 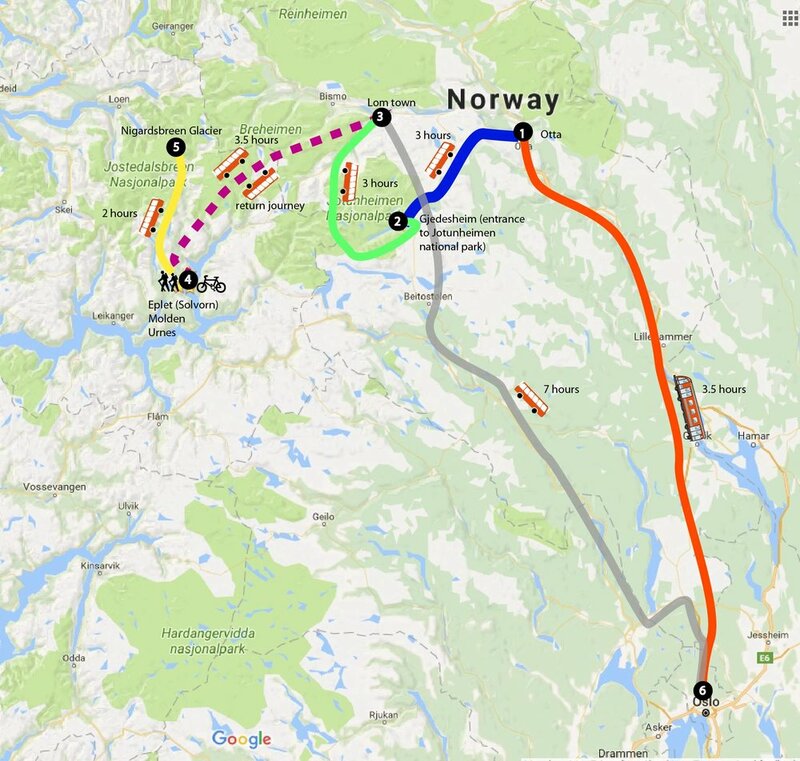 We then awoke early the next morn to board a bus to Sundbrau and then a second bus to Gjendsheim, which is a major entry point to the Jotunheimen park and home to Besseggen. Besseggen is a coming of age experience for all Norweigens from the South of the country; a mighty ridge that runs next to a fjord. The walk can be started from the Gjendsheim or most choose to boat down the fjord to Memurubu and start the 8 hour trek from there. We were blown away by Besseggen, not neccessarily a difficult trek but easily one of the most satisfying we have completed. Luckily the weather was excellent for the majority of the day allowing us to soak up its awe and beauty. Remember to prepare for any long mountain treks by bringing warm clothes, food, water, waterproofs, first aid kit, whistle and sturdy boots and a good jacket, always check the weather! From Eplet there are many things to do. Just in case you haven't read the article above we'll list some now: walking the local treks around Solvorn, drinking Eplet's fruit juices, renting bikes to Urnes, trekking up Molden and visiting the Nigardsbreen glacier. There was so much more to do but time fell short and on we went to our final stop, Oslo. To get back to Oslo we booked a coach from Lom; meaning we needed to take the same route back that we traversed from. Although we forgot to say that the Solvorn to Lom coach ride is one of the most beautful coach rides ever. It winds through snow capped mountains, into valleys besides fjords and is definite must if you find yourself there. The final coach from Lom to Oslo took 7 hours and ran like clockwork, like all transport in Scandinavia. Our equipment has been honed for an around the world trip, so our packing has been considered for the long term. Some of the following equipment will not apply for those seeking a short break of days or weeks. Still this should give you an idea of what is required for camping and hiking in in Norway. Purchasing a high quality water and windproof jacket is a must, ideally Gortex. The weather changes so quickly that having a good jacket with a peaked hood and lots of pockets is super useful. Snoods are handy for quick coverage during a weather blip and they can be left around the neck the rest of the time. Hat and gloves are essential as it can get very chilly in the evening or at the top of the mountains. if you are trekking during their summer (June to Sept) 2/3 season kit will assure comfort when needed. We brought packet pants, waterproof trousers, which we definitely used a couple of times, keeping those pins dry! Lest we forgot, decent walking boots that are comfortable and waterproof. We were also big fans of synthetic shirts / long sleeves tops as they dry very quickly. 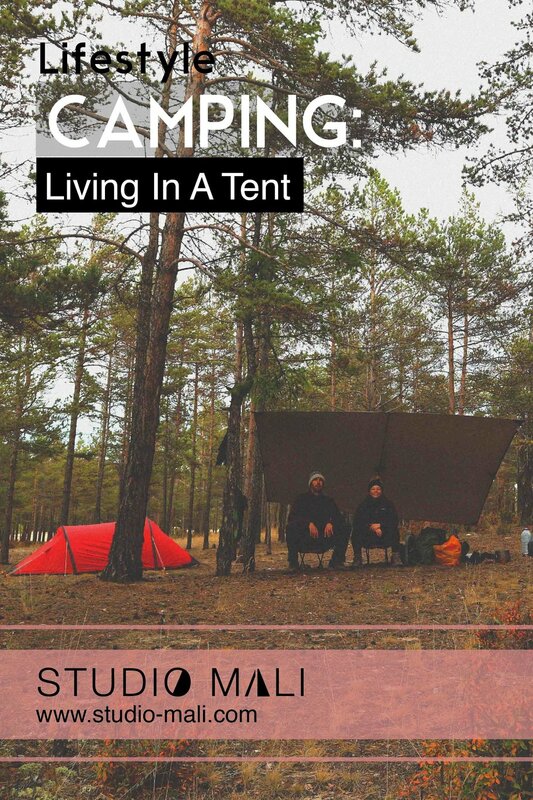 We found camping in Norway really easy and were able to turn up on the day for our whole stay in the national parks and surrounding towns and villages we visited. This meant our travel around the fjords was flexible and could adjust to changes in weather. We brought our 3 seasons tent, roll mats and sleeping bags. We paid extra for lightweight, effective kit and it was worth it. We especially loved our Berghaus Tent which stayed rock solid during windy nights, it was also super quick to take down the next day.